Back in 2014, Spider-Verse was billed as “a once in a lifetime” event that brought together various incarnations of Spider-Man from across the multiverse. But apparently, a lifetime just isn’t as long as it used to be, because Spider-Geddon is coming later this year. The Inheritors, a seemingly immortal race bent on hunting “the Spiders” were last seen trapped in a radioactive world with little hope for escape. However, Spider-Geddon‘s immanent arrival means that the Inheritors will soon be free and out for vengeance. The Edge of Spider-Geddon miniseries will serve as a prologue to the larger event. And in our exclusive preview from the first issue,.writer Jed MacKay and artist Gerarado Sandoval will reintroduce readers to the Spider-Man of Earth-138. 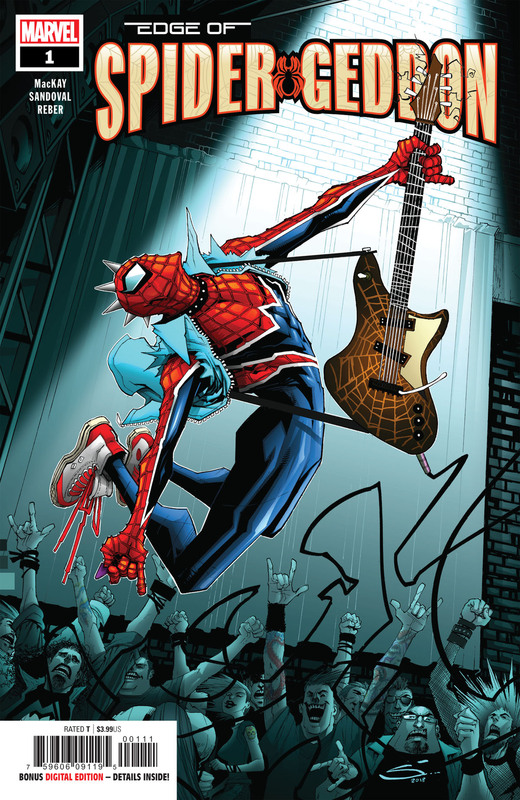 Fans have taken to calling him Spider-Punk, but he’s not Peter Parker in this world. Instead, it was Hobie Brown who was bitten by a spider in this timeline. If that name sounds familiar, it’s probably because Hobie is a hero known as The Prowler in the main Marvel Universe. This story begins sometime after Hobie overthrew the oppressive powers that be on his world, but he’s about to run into an alternate timeline version of an Avengers villain who is way out of his league. You can read the full exclusive preview in our gallery below. 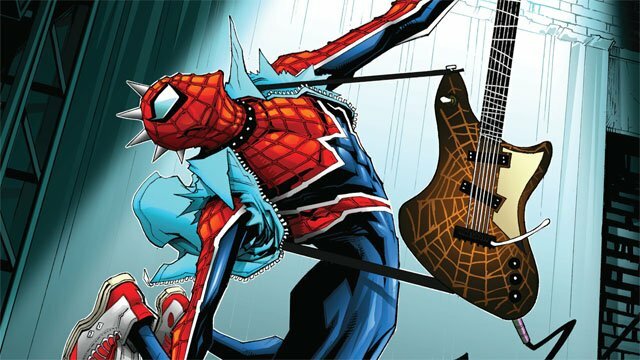 Edge of Spider-Geddon #1 will be released on Wednesday, August 15.